Clare has over 20 years’ experience working in the travel industry – having started her career as a Personal Assistant at Carlson Wagonlit Travel after graduating from RMIT in Melbourne with a Bachelor of Arts in Travel and Tourism. During her time at CWT Clare progressed through various roles as a travel consultant, sales support coordinator and account manager. 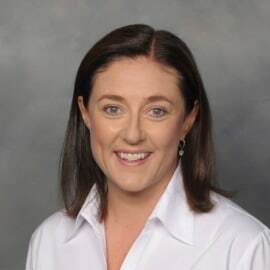 Clare then transitioned into the aviation sector which had always been her passion - spending time working at QantasLink and United Airlines before joining Delta Air Lines in April of 2012. Clare brings global experience and knowledge to her current position having worked and lived overseas for a total of 9 years in London, Chicago, New York and Raleigh-Durham. Clare currently works for Delta Air Lines where she is General Manager for Australia and New Zealand and the Virgin Australia Joint Venture. Today Clare manages a team of sixteen staff ranging in responsibilities from sales and marketing, to revenue management and sales support. Clare is a mentor in Delta’s RISE mentor program and is an active member on the Executive Committee at BARA.